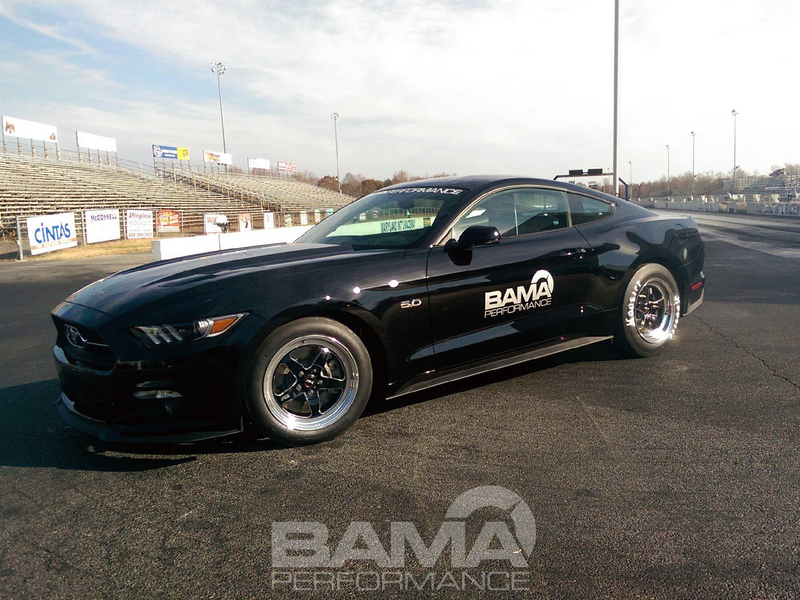 Before the 2015 Mustang was even in the hands of the public, there was concern over possible weight gains in the new S550 platform. Once the nitty-gritty details were released, it was discovered that the S550 chassis did gain a small bit of weight—largely due to the new IRS suspension system. While the new 2015 Mustang does weigh in at 3,526 to 3,705 lbs (depending upon options and sub model), it did not pack on as much weight as many had first suspected it might. Even with the additional pounds, it is still a leader in its class for power to weight, even with the new Camaro going on a diet for 2016. Regardless of the 2015 Mustang’s small bump in curb weight, one of the best ways to improve the performance of any generation Mustang (especially the S550) is by undergoing some weight reduction; ask any seasoned racer and they will tell you, “every pound counts.” Whether your Mustang sees the drag strip, an autocross course, or just normal daily driving, it can benefit from reducing its weight. 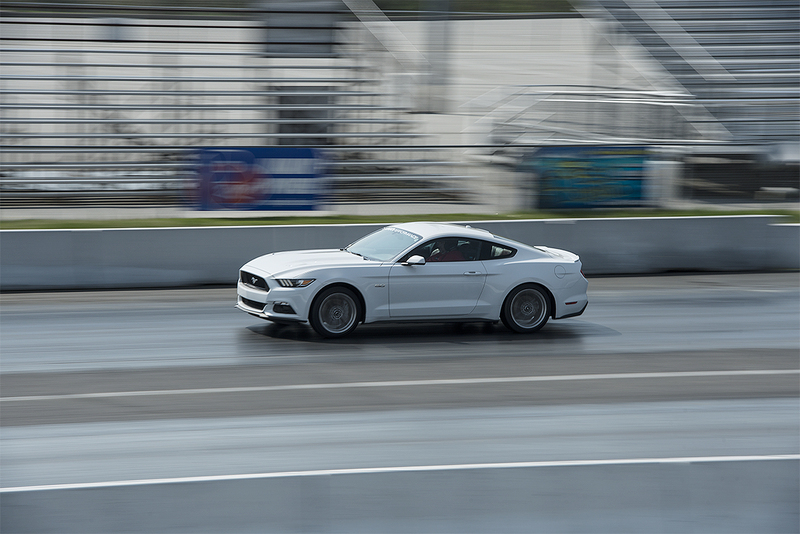 By reducing the weight of your Mustang, you will experience improved acceleration, handling, and even gas mileage. The main question with weight reduction is how extreme do you want to go? While you can remove all of the seats and carpeting, strip the door panels, dash and air conditioning, that really isn’t ideal unless it is a fully committed racecar. However, there are some aftermarket modifications that you can make which will reduce weight as well as boost performance, all the while keeping your 2015 Mustang daily driver capable. You might want to consider the following mods to help cut down your weight and improve your performance! Factory exhaust systems use heavy cast iron headers to expel the gases from the engine. The cast iron materials add extra weight onto the nose of your Mustang, throwing off the weight displacement. 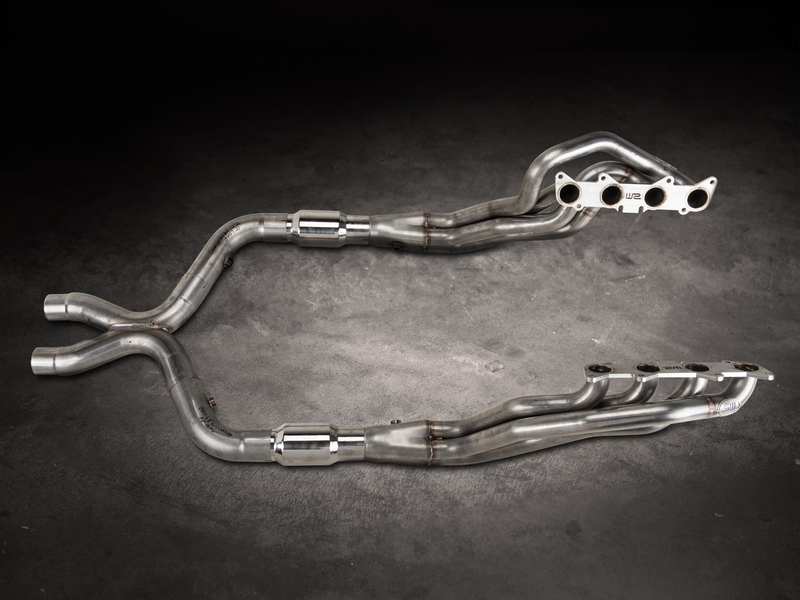 Switching to a set of aftermarket headers like those offered by Kooks Exhaust will shed a healthy amount of weight off the front axle of your Mustang, getting you closer to a 50/50 weight ratio between the front and the back of the car, while also improving the performance. 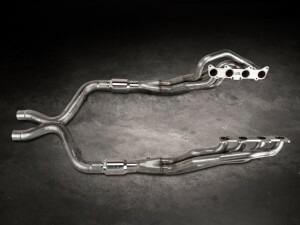 Constructed from 304 Stainless Steel, these aftermarket long tube headers will help you to improve your power to weight ratio considerably. One of the easiest places to shed weight from is the interior of your Mustang, especially the seats. The stock seats tend to be on the heavier side due to motors, heaters and other random hardware being in there. Removing the rear seats with a seat delete kit like that offered by Shrader Performance will cut out a decent amount of unnecessary weight. For the front, a set of seats like Corbeau CR1s are a great way to remove unneeded weight while not sacrificing comfort for daily driving. The Mustang’s stock 2-piece drive shaft carries with it a decent amount of weight, robbing your rear wheels of power due to drivetrain loss. Switching to an aftermarket driveshaft like The Driveshaft Shop’s one-piece carbon fiber driveshaft will reduce drivetrain loss while also reducing weight and making you engine more rev happy. 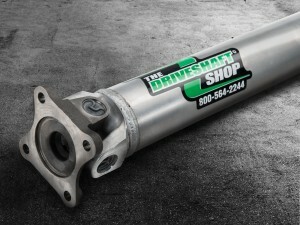 With a lighter driveshaft your engine will not have to work as hard to get into the power band, allowing you to hit those peak power numbers before the rest of the competition. Previous Entry The 2015 AmericanMuscle Car Show is Coming Soon! Next Entry Video: GT350 HUD Shift Lights in Action! How about a lighter weight rear brake rotor? 1/4 mile cars don’t need rotors that massive, plus you will be remmoving rotating mass. What if you go around the car and take out the bolts that look unnecessary?